I will be holding a private screening of Circle The Wagen tomorrow (Saturday) night at 8pm in my back yard. Anyone that wants to come watch is welcome. Let me know in advance if you are coming. Bring a lawn chair. 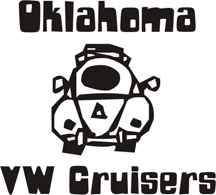 Ill let you know, going to the cruise-in choctaw. depends how that goes. Cool. Give me a shout if we need to hold curtain for a few minutes. How was it? I got consumed with yard work. Pretty good turnout of friends and neighbors. It got a little late for the kids and a few left early.